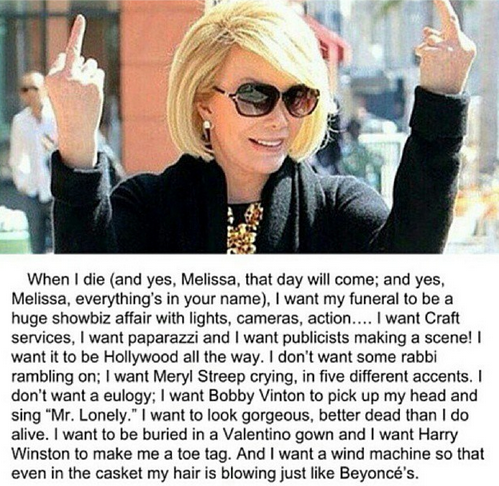 Joan was a legend. She paved the way for funny females as the first woman to have her very own talk show. She coined the term “who are you wearing” on the red carpet. She overcame tragedy and huge life obstacles in the public eye with jokes and laughter never being put on hold. She had an unreal work ethic at 81 – yes, EIGHTY-ONE – and didn’t have the word “retirement” in her vocabulary. She was a comedienne. A television host. An author. A producer. A boss. A coworker. A friend. A mother. A grandmother. And from the looks of it, she was amazing at being all of them. Sure she said some pretty RIDICULOUS things in her time, and yeah she went under the knife a few too many times, and people certainly hated or loved her because of it, but when it comes down to it, she was just a very funny woman with a HUGE heart who was always working. And you have to look up to someone like her. Yes, Joan was old, but she was taken from us too soon. However, everything happens for a reason, and this reason could be because she just COULDN’T with the Brangelina dress (give us a sign on your thoughts from above?!) or she wanted to one-up Beyonce on her birthday. Whatever the reason, she will be terribly missed — by those like me who only know her through a television screen, and those like Melissa and Cooper, her daughter and grandson, who were her best friends and family. I loved watching Joan’s and Melissa’s relationship on TV. This particular moment between the two is so candid and so real. It was before Joan was having a surgery in 2011 and she told her daughter how, if anything was to happen, she lived an amazing life. Good to know. This wasn’t the only time Joan spoke of “death.” She wrote about her future funeral in one of her books. Note that even Joan wanted to go out as Beyonce. TWO QUEENS TOGETHER AS ONE. I still can’t believe Joan Rivers is no longer here with us. I don’t know how we, the people, are going to survive awards season without her presence and I’m not sure if I can accept the fact that I will no longer get to hear what she has to say while hungover on a Saturday morning watching the latest repeat of Fashion Police. I am not ready to live in a world without Joan… so… I’m not going to! I’m going to take her videos, her quotes, her laughter, and her legacy with me wherever I go as every true Joan Ranger should, and try to find as much success in my own life as Joan did in hers starting right here on this little website. Joan did once say “I succeeded by saying what everyone else is thinking,” which is a quote I live by. I hope doing so will somehow lead ME to success too, and not just outrage from my younger brothers when they read an article where I talk about blow jobs and yeast infections. Joan proved that when you speak the truth and make people laugh, they will either love you or hate you. But being hated is better than being unknown. And Joan knew that. And I know that. And I will take that piece of advice to the grave. The world will never be the same without Joan Rivers. May she rest in peace. Here’s a video from Mashable of “The Best Joan Rivers Moments” … What a genius. 1933 – 2014. 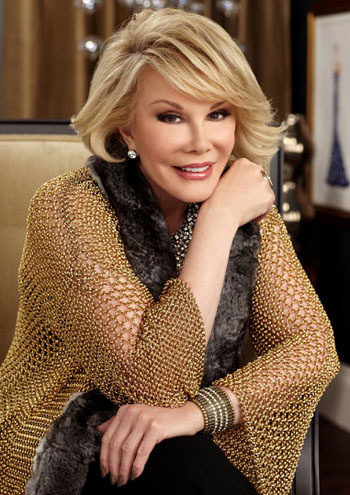 We will miss you, Joan. The world seems smaller without her. 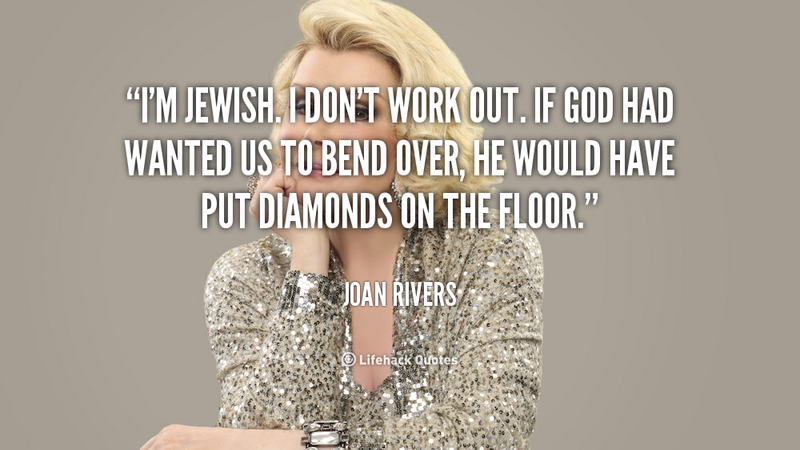 There has never been another like Joan Rivers. I will truly miss her and grieve a little every time I think of her. But in doing so I will remember to try and carry her mischievous and smiling never be afraid persona/spirit with me. You will remain with us Joan Rivers, for as long as people remember the load you lightened and the light you brought into the world. Rest now you wild, crazy and beloved sister to so many.